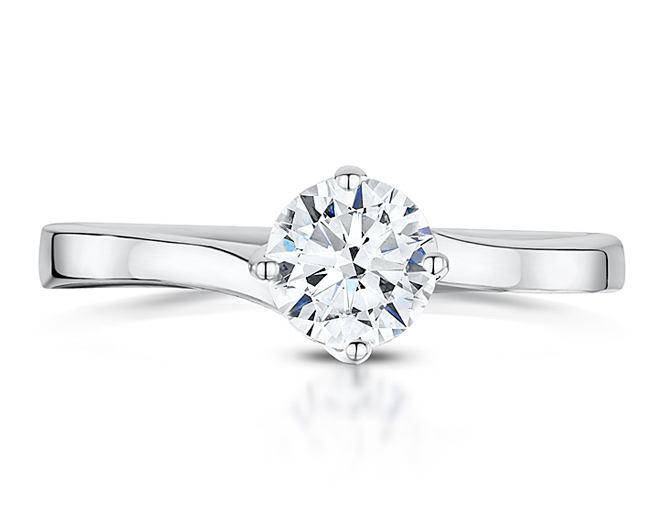 Classic Diamond 4 claw engagement ring with a twist. Timeless style crafted in White, Yellow, Rose Gold or Platinum. 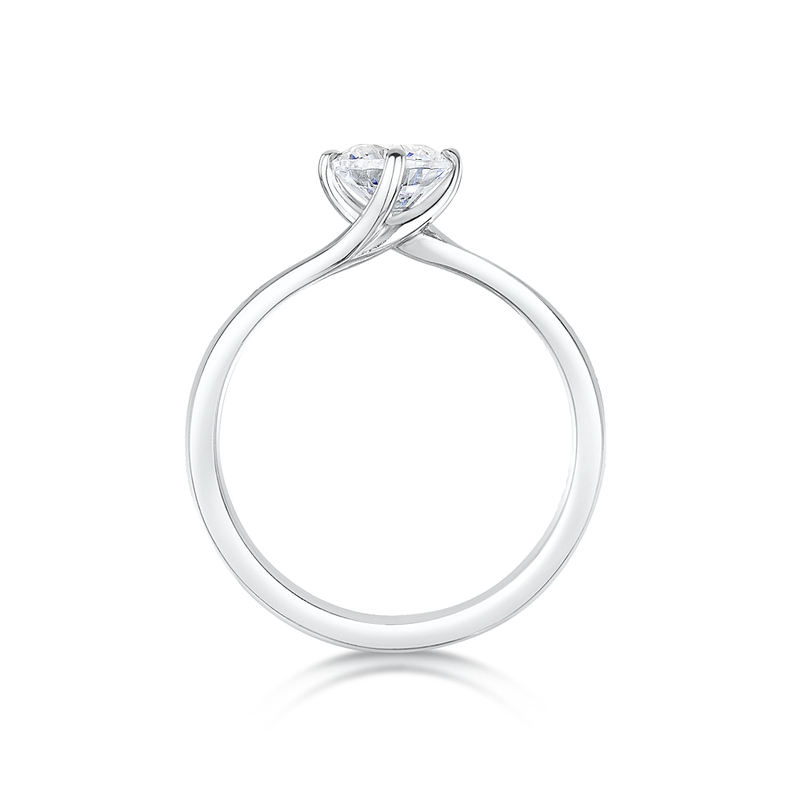 This ring comes with a matching wedding ring which is available either plain or diamond set.